It turns out that Leó Szilárd , one of the father’s of the atomic bomb, wrote some posthuman sf. Junot Díaz weighs in on the apocalypse, at the Boston Review. “However, The Bed Sitting Room and the salvagepunk aesthetic more generally grasps that we’ve been living after the apocalypse for a while now, and that the problem is too much of the hidden has been revealed. Too much uncovered data, too many telling images, too many public secrets. It’s piling up everywhere and making it impossible to find the correct enemies, the right cracks to widen, the right ways to attack and build better. 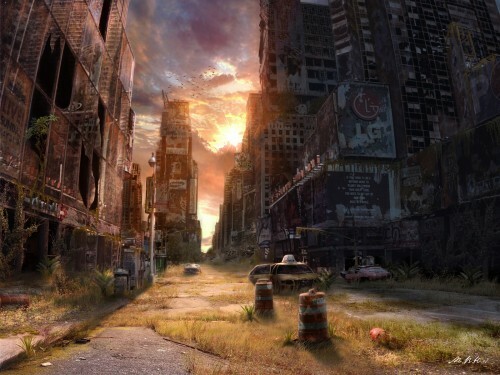 In this sense, salvagepunk post-apocalypticism is concerned with being more apocalyptic than the apocalypse: clearing away the clutter to reveal the true hidden-in-plain-view, namely, the deep, permanent antagonisms on which capitalism runs and the untenability of that system’s capacity to run” (56).